People might ask you, why would you want to switch to WordPress CMS platform? With the current position and progress of WordPress, the answer to it shouldn’t be too difficult. 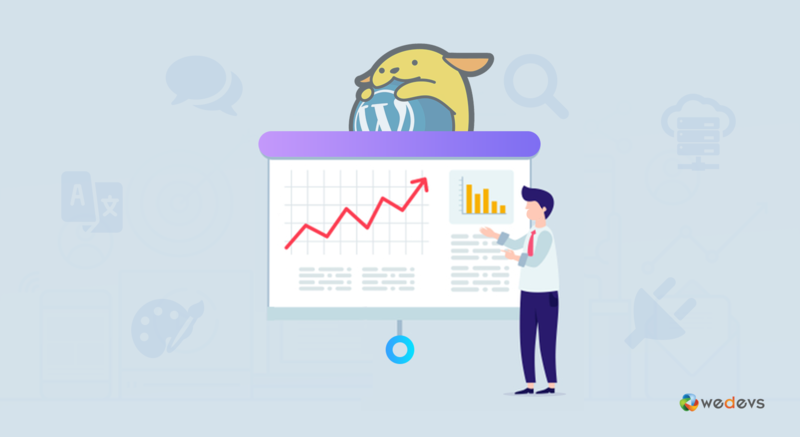 Because since 2003, today after 15 years of its successful journey and establishment all the awesome WordPress stats would automatically answer all the questions people might have in their curious mind about WordPress. Some people might still have the temerity to speak against WordPress and its number of flaws it posses. But the current stats and facts of WordPress will always speak above all for itself. So what makes WordPress so special? 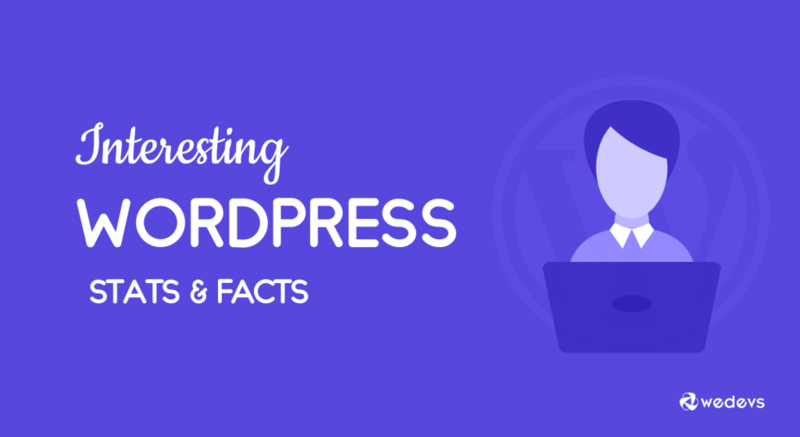 Let’s find out through some tantalizing stats and facts of WordPress in this post below. The very first version of WordPress was launched on 27th May 2003, making it even an older web platform than Facebook, Youtube & Twitter. It was released by its founders Matt Mullenweg and Mike Little back then. According to the stats conducted by W3Techs, WordPress is currently powering through over 33.1% of the world’s web platforms. A truly remarkable achievement by this popular CMS that is currently used for blogging sites as well as for large business websites. Almost 47% of world’s websites do not use a CMS. But among the CMS platform user, WordPress enjoys a whooping 61.1% of market share making it by far the largest shares in the market worldwide. Based on the data conducted by a reliable keyword analysis tool, last year WordPress has been searched on an average 2,74,0000 times in a month by the people all around the world. Just imagine the search volume it had when you count the relevant long-tail keywords. On average, popular WordPress plugins or themes can get more than a million installations each week. For example, as of January 2019, at the time of writings this, the most popular e-commerce store plugin, WooCommerce has been installed 774,273 times in a week. Just imagine how much business you can make once you have a popular application for WordPress. Many business sites are already using WordPress. This number is almost, 35% of 10,000 popular business sites that are actively using it. The list includes some popular sites like The New Yorker, Whitehouse.gov, Reuters, TED, TechCrunch etc. Even for personal sites as well many globally recognized personalities also uses WordPress including celebrities like Sylvester Stallone, Kobe Bryant, Justin Bieber, Katy Perry and many more. At a full 100% rate, WordPress is now being actively used in 68 languages out of 162. The day is not far when WordPress will be effectively used in all the existing local languages out there. WordPress was always known for it being the most popular blogging tool. But over the last decade or so it has evolved and made its entry into the e-commerce business arena as well. WooCommerce as the most popular and widely operated e-commerce plugin is being used in over 13% WordPress websites currently. The numbers are even more astonishing when you consider it's more than 3 millions installations in websites and over 60 million all time downloads. As per recent stats, it is claimed that both Amazon and Twitter had lower unique monthly visits than WordPress with over 148 million monthly visitor. Now when it comes to the most downloaded software in the world, WordPress is right there at the top. By the time this post is being published, the real time download counter of WordPress v4.9 would have at least cross pass 160 million. As a blogging site platform, WordPress has set some pretty impressive record over the years. 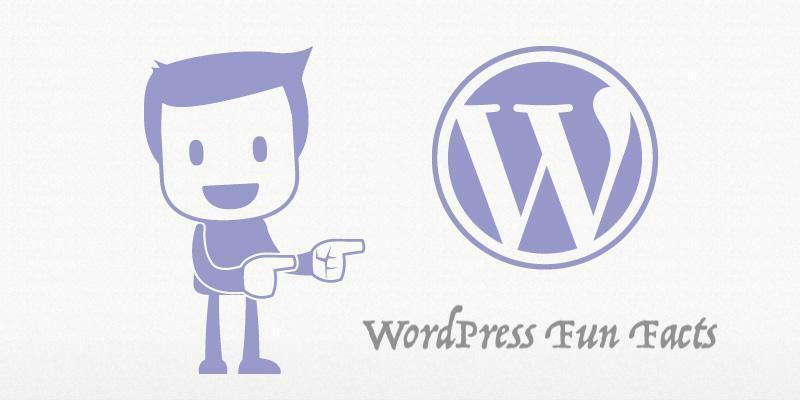 WordPress platform used for blogging continues to encourage people to submit new post and comments worldwide. The CMS platform has registered about 70.5 million new posts and 52.1 million new comments each month. Meaning bloggers from all over the world creates at least 6 new posts each seconds in WordPress sites. At the time of this post being written, there are currently 54,624 plugins available at WordPress.org with over 1.5 billion total downloads of all these plugins. So you can be rest assured that, there is a plugin for any kind of solution you need in WordPress. WordPress making its mark in the global arena has organized handsome number of WordCamps for the WordPress users and welcoming new community members to it every year. The very first WordPress was arranged in the year 2006 in San Francisco by Matt Mullenweg. And since then 950+ WordCamp has been held in over 65 countries, with more than 2400 speakers and 1100 sponsors involved in it. ThemeForest is the most popular premium theme and plugins marketplace out there. Based on a report, Avada is the most popular & sold theme for WordPress and as of now, this 59$ priced theme has been bought over 200,000 times, generating over $1.3 millions in sales and counting. A recent survey of CMS usage suggested that there is at least 1.2 million domains registration for WordPress in every 6 months. And the number is only increasing each year. Currently in the theme directory of WordPress, there are almost 6000 free themes for the WordPress users to choose from. This number is a massive selling point of WordPress for the users who loves to decorate their WordPress site frequently. Divi and Genesis being the most popular free theme of all time is used in 10% out of 20% of total WordPress sites. WordPress, being a Non-Profit organization, the company behind it, Automattic, has made a revenue of $1.3 billion ahead of other gigantic WordPress companies like Envato at $95 million and WP Engine at $74 million. One of the more popular spam blocker plugin Akismet blocks over 7.5 million spam comments every hour. It has already crossed the milestone of 100 billion a long time back. Imagine the number of fake ads it has blocked to save the users to deal with. Popular plugins are the one that enhances the overall performances of your site. In a recent stat, it is concluded that WooCommerce , Akismet and Yoast SEO made in to the top 3 plugins based on its overall performance and capabilities in its respective fields. The WordPress v4.9 is already known to be the most popular WordPress release of all time. But very few people know that the main success behind this version was due to the contribution of 443 talented people out of which 185 of them were totally freshers who were taking part in WordPress development for the very first time. Till mid February ‘19 from the time of its release, the latest version of WordPress v5.0 is getting tremendous response. This new release of WordPress has been downloaded more than 35,000,000 times though only 30% of WordPress websites are running it as of now. Hosting a WordPress site won't cost you a fortune. It only takes around $50-60 to host a professional WordPress site. Whereas a .com domain name will typically cost you upto $10 a year. Meaning you can enjoy a top quality WordPress hosting including a domain of your choice at just 70$ a year. Using WordPress is fun because it is the most user-friendly platform of all and it’s easy because it only takes 5 minutes to get started with WordPress from downloading the plugin to configuring it up in just a few simple clicks. Like all CMS platforms, even WordPress has competitors in the form of Joomla & Drupal. But when it come to popularity WordPress is almost 10 times popular than Joomla and 8.9 more popular than Drupal. In WordPress, a staggering 21.1 billion pages are viewed each month by more than 410 million people Worldwide. And when it comes to the record of files uploaded by the users globally then, the stats say that just in the month of December 2018, an astonishing 70,399,151 files were uploaded through WordPress sites. After all these serious WordPress stats, one might feel WordPress is a boring place to be in. But in reality, it is a fun place to experience the originality of CMS platform. And the fun facts below further proves that. Automattic, the company behind WordPress had a beautiful office at San Francisco, but it was shut down when its employees stopped showing up at work. The active Japanese community members originally created the official mascot of WordPress, Wappu. Every WordCamp events get a unique Wappu including a number of specially customized variation of the mascot in it. Controlling a missile guidance system was done using WordPress. WordPress has around only 800 employees Worldwide, which is 500 times lesser employees than Amazon. No matter how much anyone would want to deny, but WordPress is indeed the future of CMS platform. Not to mention its growing popularity as the best blogging platform as well. And the stats & facts discussed in this post already proves that. Most statistics now already suggests that its immense popularity in the past decade or so mainly drives by the fact of it being a budget-friendly one. Not just the platform, also its offerings of a wide range of marketplace plugins, themes, security, SEO friendliness & available language packs are also a major reason for its fondness of people. Looking at its progress and development over the years, it is safe to say WordPress will only take over many other popular alternative CMS in the coming years. This is definitely a positive sign for all the WordPress enthusiast out there and something that they can proudly boast about. Did you feel we have missed out on some significant WordPress stats? Do you have any fun or informative WordPress stats or facts to share with us? Then we would love to hear it from you. 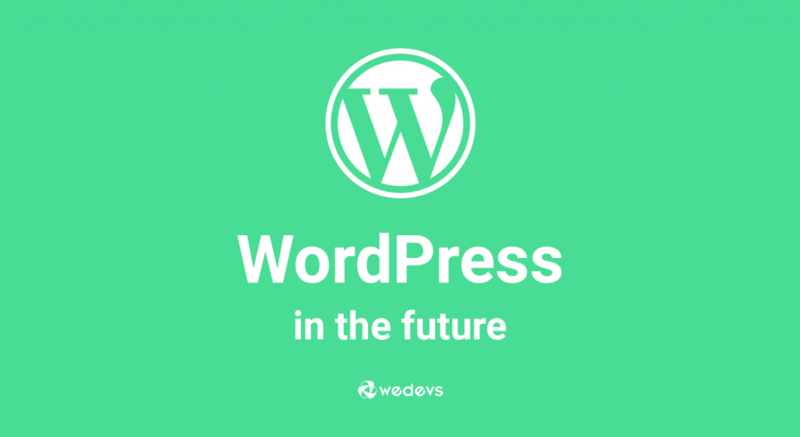 Do share with us, your views and thoughts on WordPress and its future in the coming years in the comments section below. ← WC Marketplace vs Dokan: The Best Multi Vendor Plugin for WooCommerce?